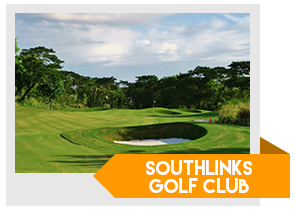 Southlinks Golf Club in Las Pinas City has proven to be a fine course in its 2 short years of being open. The particularly breezy atmosphere and elevated flood-free terrain makes it a favorable golfing destination for foreigners and locals alike. The 18 holes are naturally set on long narrow and rolling terrains that make it difficult to play. Accuracy is much needed here! 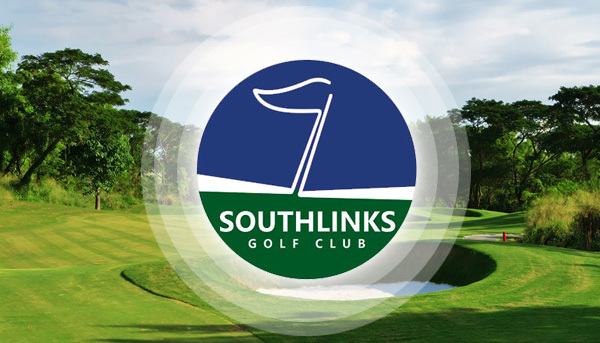 Southlinks is the brainchild of Kevin Ramsey who has been in golf course architecture for nearly 30 years. Kevin created this challenging course with an appealing design covered with Zoysia Matrella grass that is sure to please all golfers. It is located right at the gateway to the Cavite golf clubs making it an ideal location. Several convenient and pleasurable facilities are available including a multi-bay driving range, practice putting green with bunkers, a clubhouse that is complete with a dining area, and showers and locker rooms to keep fresh! Southlinks Golf Club is publicly open, but reservations must be done one week before the desired play date. Accommodations around the area include the Acacia Hotel, Crimson Hotel, Parque Espana, Vivere Hotel, and the Bellevue Manila. Tip for Tourists: Avoid the hassle of a long queue during registration at Southlinks. Book directly with GolfPackages. Fill out the form to your right and get your free quote today.